Josh Kennedy signing some footballs. Picture: Andrew Ritchie. 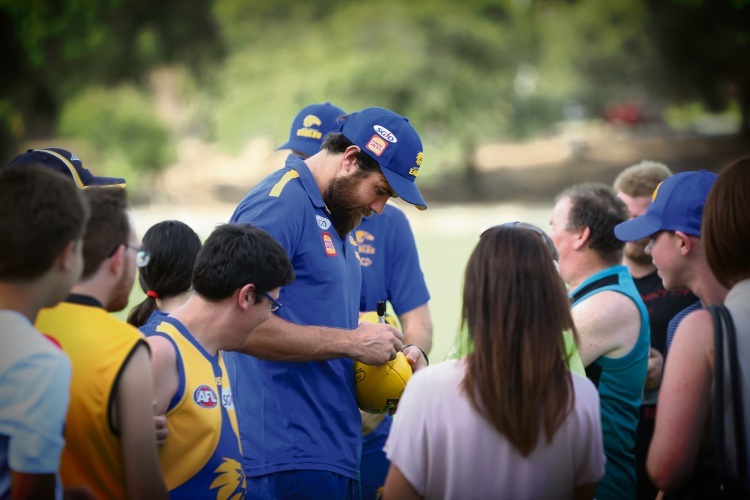 USUALLY known for his goal-kicking prowess, West Coast Eagles star Josh Kennedy was instead fielding interest in his facial hair at a recent visit to North Beach. 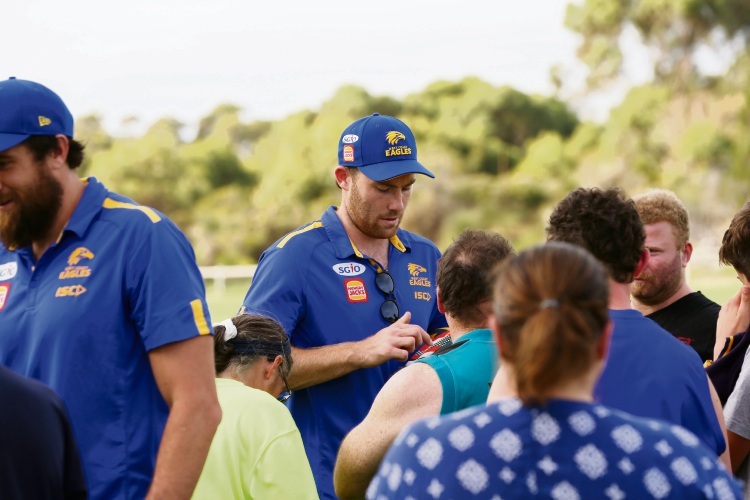 Kennedy and defender Jeremy McGovern ran a training session for North Beach Football Club’s integrated rules team on March 20 at Charles Riley Reserve. Known this year as I Grade, integrated football provides an opportunity for people with special needs to play football. 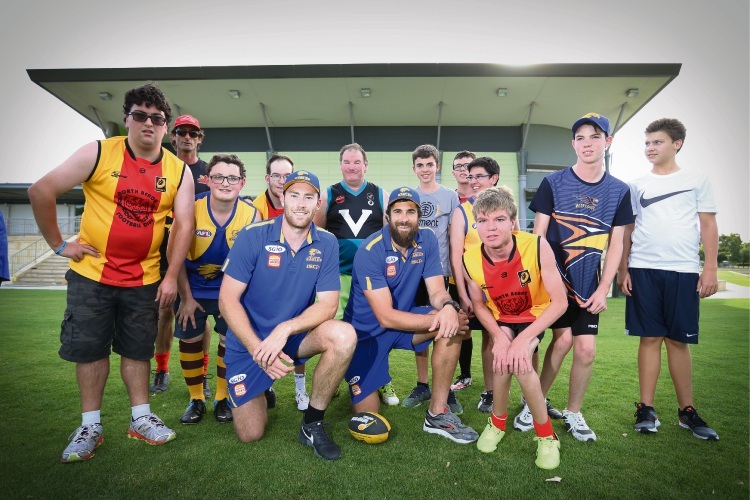 Jeremy McGovern and Josh Kennedy from the Eagles with the Intergrated footy team at Charles Riley Reserve in North Beach. Picture: Andrew Ritchie. Club president Gary Stocks said the amateur players loved getting close to their heroes, with one even asking to touch Kennedy’s beard. “They all loved it,” he said. He said the Eagles players also relished the opportunity. “They just had big smiles on their faces,” he said. Jeremy McGovern signing some footballs. Picture: Andrew Ritchie. North Beach will be part of the WA Amateur Football League integrated competition for the first time this year, with 10 players currently signed up. Eight players trained throughout last season and Mr Stocks said they became involved with other teams at the club. “The great thing about it was they were immersed in the football club,” he said. “Their parents said to us that it was the first time they had felt included in something. The club is hoping to field a team of 18 this season and in another first will also feature a women’s team.